There’s been a lot of talk about Squirrel Girl’s hoped-for ascent from comic book page to big screen—she is, after all, the best Marvel character not yet in the movies. But now, this intriguing bit of news: a New Warriors TV series may soon be announced, with the fan-favorite character smack at its center. 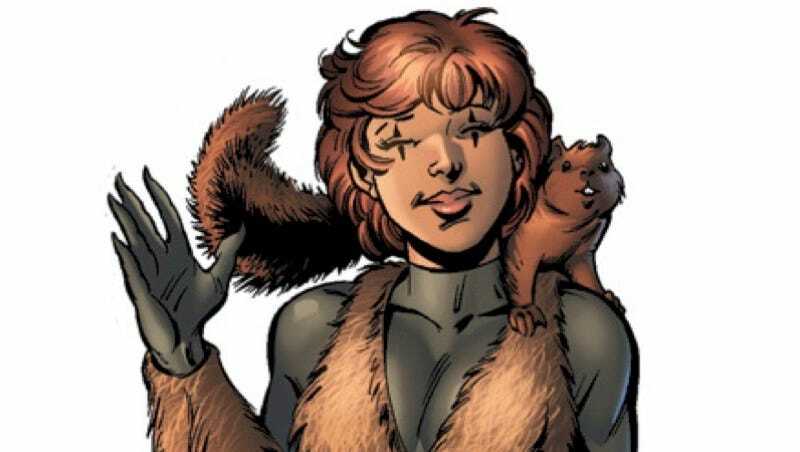 Marvel and ABC Studios are developing a New Warriors comedy series that would put the spotlight on little-known comic book heroine Squirrel Girl, TVLine has learned exclusively. Both Marvel and ABC Studios declined to comment, but sources confirm that the half-hour project is currently being shopped around to cable and streaming outlets. Described as the junior version of The Avengers, the New Warriors are a superhero squad made up of teenagers, one of whom would include Doreen Green (aka Squirrel Girl). For the record, SG can do more than just communicate with the world’s vast squirrel population; she also possesses super-speed and strength. “Little-known” if you don’t read io9, that is. We’ll be keeping tabs on this rumor for sure.